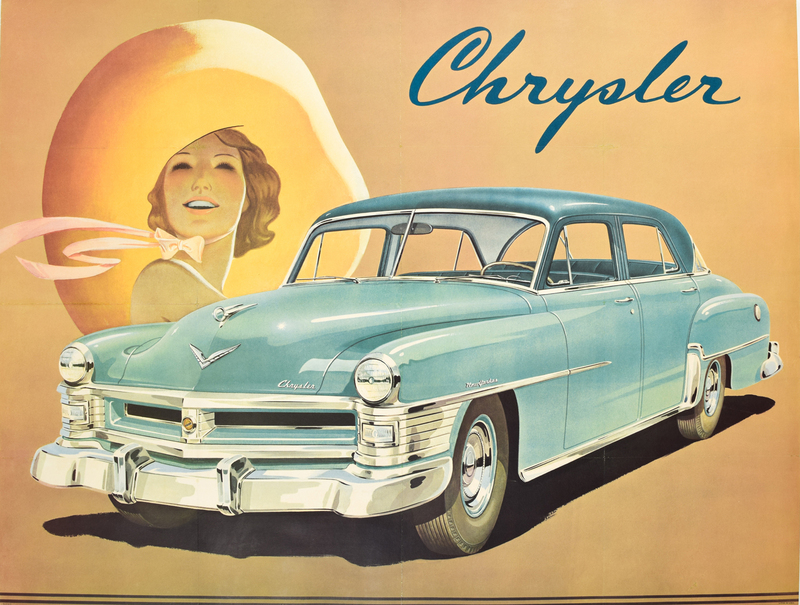 This is an original vintage poster advertising a 1952 Chrysler. This poster is conservation mounted, on linen, in A- condition. Colors are bright and vivid. .The poster has printer's folds, but presents itself very well after being mounted onto linen. The elegant lady in the background, with the oversized sun hat, is so reminiscent of the noted English designer Tom Purvis, one would attribute this poster to him. But there is no signature, and so we attribute the designer to be anonymous. The poster measures 38 X 50 inches. Very rare. We haver been collecting and selling original vintage posters for 30 years and we guarantee the authenticity of all of our posters.